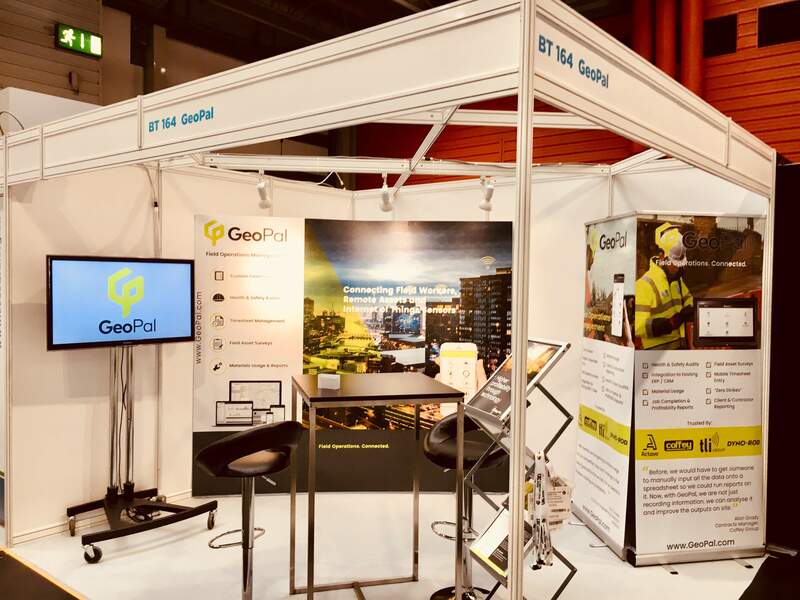 Last week, the GeoPal team were exhibiting at UK Construction Week in the NEC Birmingham - a three-day show running from Tuesday to Thursday. 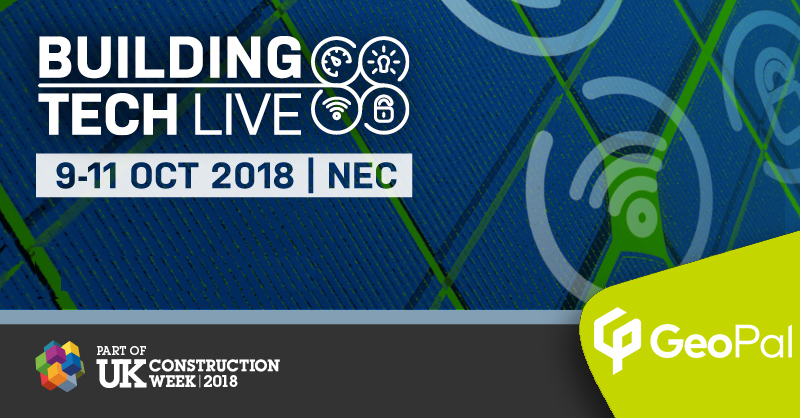 UK Construction Week (UKCW) is the UK’s largest built environment event; bringing together 35,000 construction professionals and 650+ exhibitors at the NEC Birmingham over the three day period. UK Construction Week showcases innovation from all sectors, and making it easier for any professional to update their CPD, get inspired by amazing people and projects, and walk away with practical information on new technologies, systems, products and collaborations from around the world that would otherwise take months to research. It is difficult to express the sheer size of the show which includes 8 separate areas; Build Show, Civils Expo, Energy Expo, Building Tech Live, Timber Expo, Surface & Materials Show, HVAC Expo and Plant & Machinery Expo. Grand Designs live was also an addition to the show this year showcasing everything from smart kitchens to traditional pizza ovens! 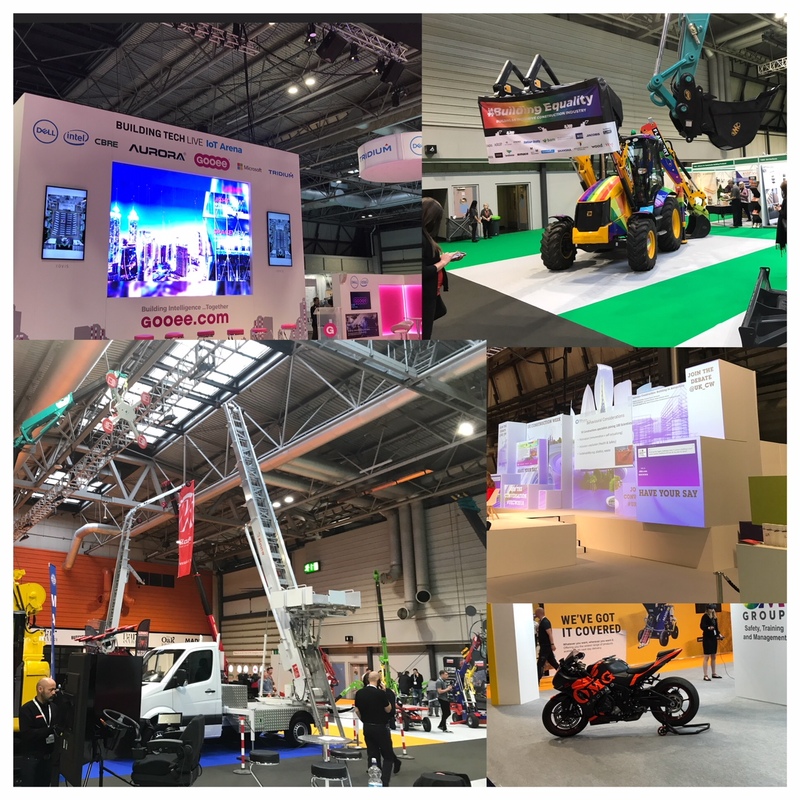 The hall itself included stands from top suppliers to the construction industry from across the world - everything from software vendors to Plant & Machinery suppliers and plenty in the line of IoT and virtual reality! GeoPal was located on stand BT164 in the Building Tech Live arena which showcased companies that are focused on digitising the industry in a variety of ways. 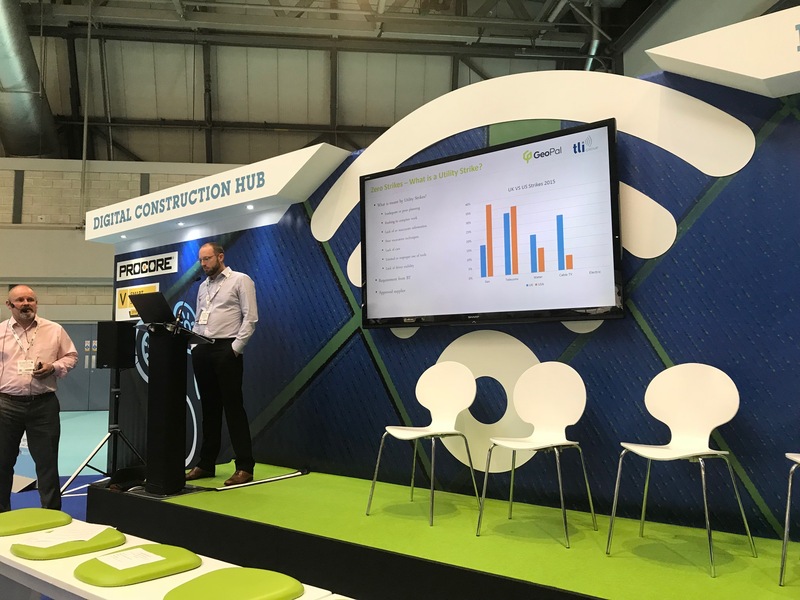 On Wednesday at 12:15 PM, Russell Fleming, Group Programme Director at TLI Group presented on the Digital Construction Hub stage about how TLI Group has leveraged technology (specifically GeoPal) across a number of aspects of their business. Russell went into detail on the Utility Strike prevention process TLI put in place using GeoPal and how this was a prerequisite to becoming an approved supplier with British Telecom (BT). He also spoke about their work with SIRO, an amalgamation between Vodafone and the ESB in Ireland to deliver fibre broadband to the home. TLI Group is a utility infrastructure consultancy and construction company, operating extensively within the utilities sector in Ireland, the UK and internationally. Designing, building and commissioning overhead power lines, electrical substations and Telecom Networks are the company's core expertise. Since inception, TLI Group has executed countless projects within these area's and has always delivered works of utmost quality and integrity, on time and in budget. There was a constant flow of presentations that ran on more than 15 stages throughout the arena during the course of the show, each focusing on different topics with speakers from all walks of life all with one common trend coming through, the construction industry and how best to futureproof it!